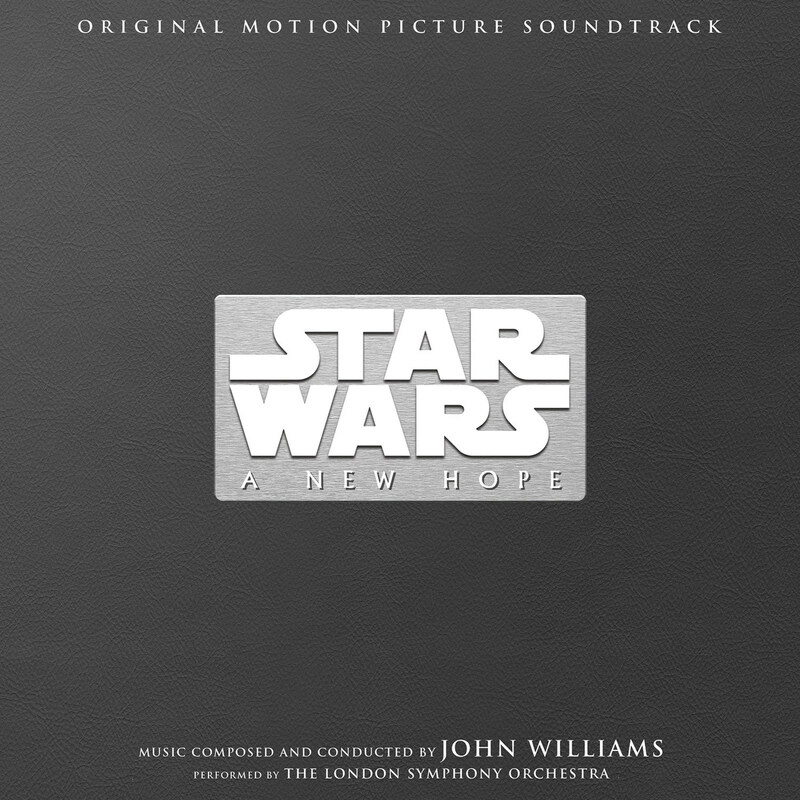 Star Wars: A New Hope Original Motion Picture Soundtrack 40th Anniversary 3-LP Collectors Edition cover art. 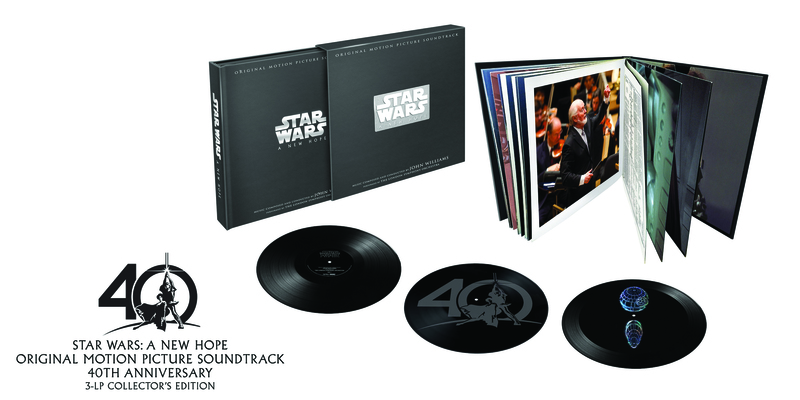 With score conducted and composed by five-time Academy Award®-winning composer John Williams, the 3-LP set features a 48-page hard cover book with 180-gram vinyl. This one-of-a-kind vinyl set, hand etched by Tristan Duke (Jack White’s Lazaretto) of Infinity Light Science, offers a 3D hologram experience featuring the Death Star on Disc 3, Side A. For optimal viewing, use a direct light source or simply hold a mobile phone flashlight above the vinyl to view the hologram. 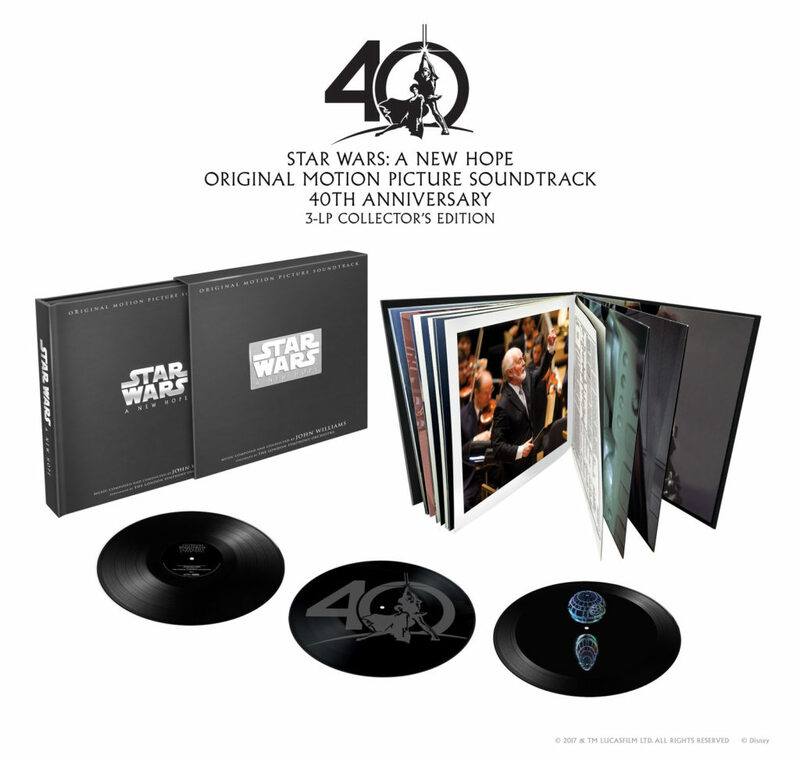 Side B features the Star Wars 40th Anniversary logo etched into the vinyl. 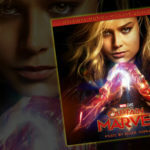 The box set includes rare photos of the film’s production and scoring sessions. Additionally, two essays are featured in the hardcover book. “Tuning Up a Galaxy” written by author Jeff Bond (“Danse Macabre: 25 years of Danny Elfman and Tim Burton,” “The Music of Star Trek”) focuses on the phenomenon of Star Wars and how John Williams’ score changed film music forever. “John Williams’ Journey to Star Wars” by Jeff Eldridge discusses John Williams’ early career – from his musical heritage to his continuing legacy. John Williams is well known for scoring all eight of the Star Wars saga films, beginning with 1977’s Star Wars (A New Hope) for which he earned an Academy Award® for Best Original Score. His score for Star Wars: The Force Awakens was nominated for an Oscar®. Williams returns to score Lucasfilm’s Star Wars: The Last Jedi. The Skywalker saga continues as the heroes of The Force Awakens join the galactic legends in an epic adventure that unlocks age-old mysteries of the Force and shocking revelations of the past. Star Wars: The Last Jedi opens in U.S. theaters on December 15, 2017. 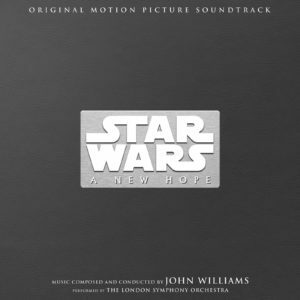 The Star Wars: A New Hope 3-LP hologram soundtrack will be available on December 1, 2017. 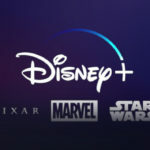 Pre-orders are available at DisneyMusicEmporium.com, the destination for collectible Disney music products, and at Amazon http://disneymusic.co/SWNewHopeBox.